Before uninstalling any Salesforce application you need to remove dependencies. If you are on a paid for plan you first need to contact us to cancel. Generally only a Salesforce administrator can uninstall. There are two dependencies you need to remove page layouts and permission sets. Start by removing page layouts. From here click Remove Layouts. Next you need to remove users from our two permission sets. Finally with all dependencies removed you can now uninstall the package. 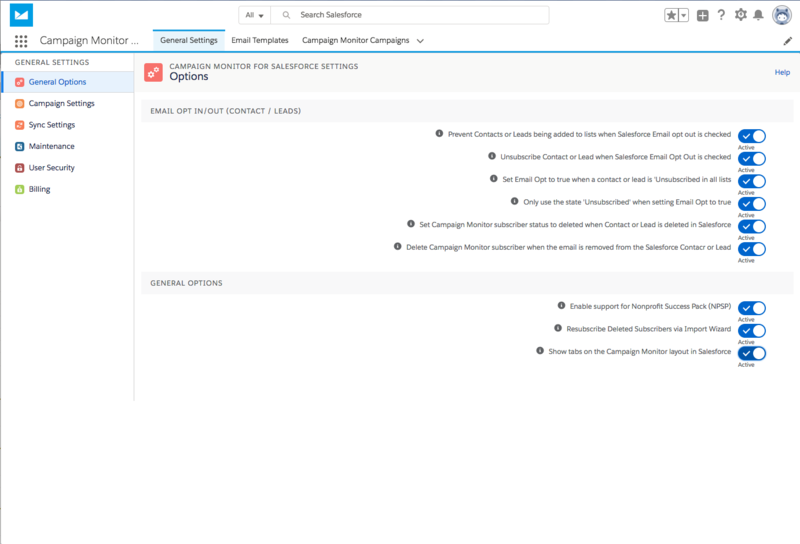 Next to Campaign Monitor for Salesforce, click Uninstall. Choose whether or not to save a copy of the package's data. Select Yes, I want to uninstall this package and permanently delete all associated components. The uninstall process takes some time, once completed you will receive an email from Salesforce.